Water in Lake Eyre is one of those events that justify a trip into the Outback, and why not do it quickly and comfortably in your own aircraft! 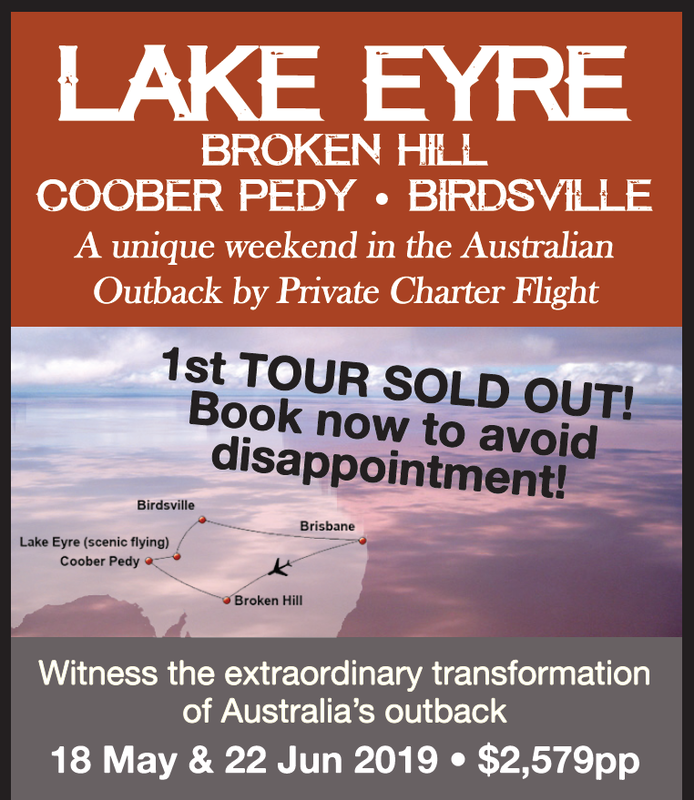 Join us on this amazing 2 day adventure featuring Broken Hill, Coober Pedy, Birdsville and of course the legendary Lake Eyre. *Terms and conditions apply. Subject to change.